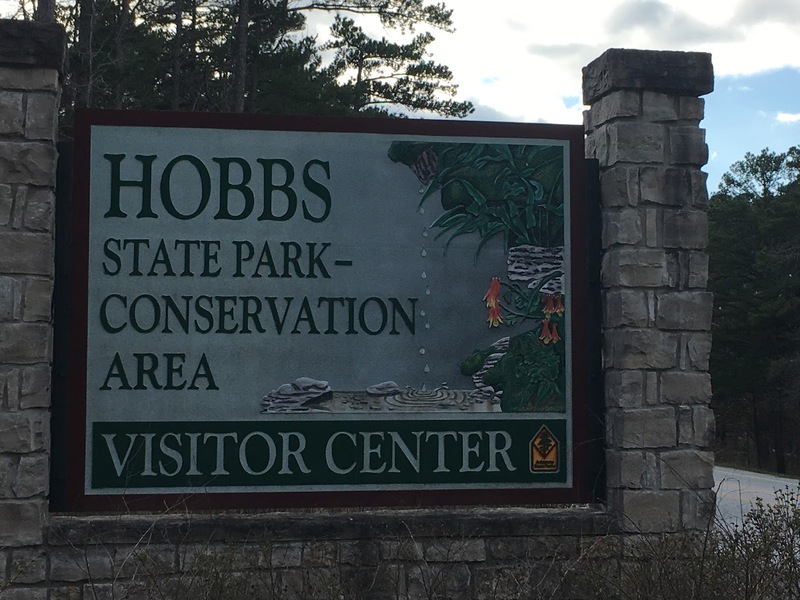 This weekend on the way back from a quick trip to KC for Opa's birthday we swung by Hobbs State Park - Conservation Area for another try at their cache. If you'll recall from March of 2016 we attempted to find it but came up empty handed. This time after reading notes from several other cachers who had found it we were successfull. We did discover that the clue was missing though. Talking to the friendly visitor center staff they had the clue handy "people keep walking off with it or wiping it off of the container". I've been holding onto this sign photo for over a year, so Woohoo, I finally get to post it. So that's park #46 of 52. At least 1 is going to have to wait until the fall butterfly migration. The kids are a bit burned out on collecting caches right now too. Collecting 13 over 2 weekends of Spring Break may have been a bit much. Especially since there was considerable distance between some of them which meant many hours in the car. Perhaps we'll be finished by the end of the year.